As an experienced litigator with over 35 years as a trial and appellate lawyer in State and Federal courts, including his successful argument before the United States Supreme Court, Andrew L. Zwerling is known as an innovative, creative troubleshooter and problem solver. He specializes in employment law, health care law (including OPMC defense) and commercial litigation, and has worked on litigations valued as much as over $120 million. He also conducts internal investigation for clients relating to sexual harassment and other personnel issues. 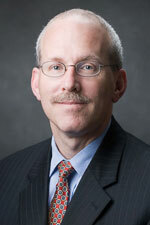 Mr. Zwerling is also active as an arbitrator and a mediator. Successful defense of a physician accused of sexually assaulting a patient during a post-operative orthopedic examination that was surreptitiously recorded by the patient. Successful defense in discrimination case brought by physician against a hospital following his termination. Successful defense of sellers of adult homes in $120 million lawsuit. Successful defense in $15 million claim brought by computer services vendor against Hospital. Prosecuted case resulting in multi-million dollar recovery by hospital against managed care company based upon dispute over rate reimbursement. Successful defense of anesthesia practice in multi-million litigation brought by terminated partner. A prolific legal writer, Mr. Zwerling has dozens of publications covering a range of subjects, including employment law and litigation. As an active lecturer, he has conducted presentations on myriad subjects in New York and Connecticut, including sexual harassment, responding to employee discipline problems, leadership responsibilities of management, disruptive physicians and restrictive covenants in employment agreements. Prior to joining the firm, Mr. Zwerling spent 17 years as a prosecutor, serving as an Executive Assistant District Attorney with the Queens County District Attorney’s Office. There he prosecuted numerous high-profile felony cases, served as the Equal Employment Opportunity Officer, handled sensitive internal sexual harassment investigations and managed a staff of up to 150. Sexual Harassment and Abuse In The Workplace, NYU Winthrop Hospital (January 19, 2018). "Who Is Your “Harvey Weinstein’? : The High Cost Of Letting Sexual Harassment Go Unchecked In The Medical Profession," Medical Society Of The State Of New York News Of New York, January 2018.